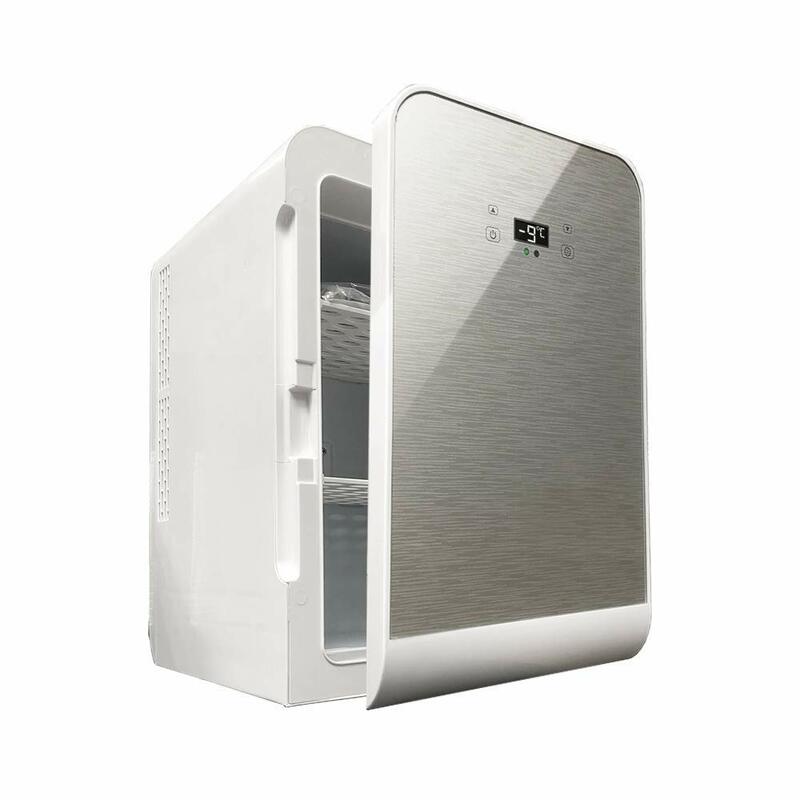 COOL OR WARM - Dual Cooling Quiet Fans chill down to -9°C or warm up to 65°C, just flip of a switch. Well insulated interior holds temperature even after unplugged. 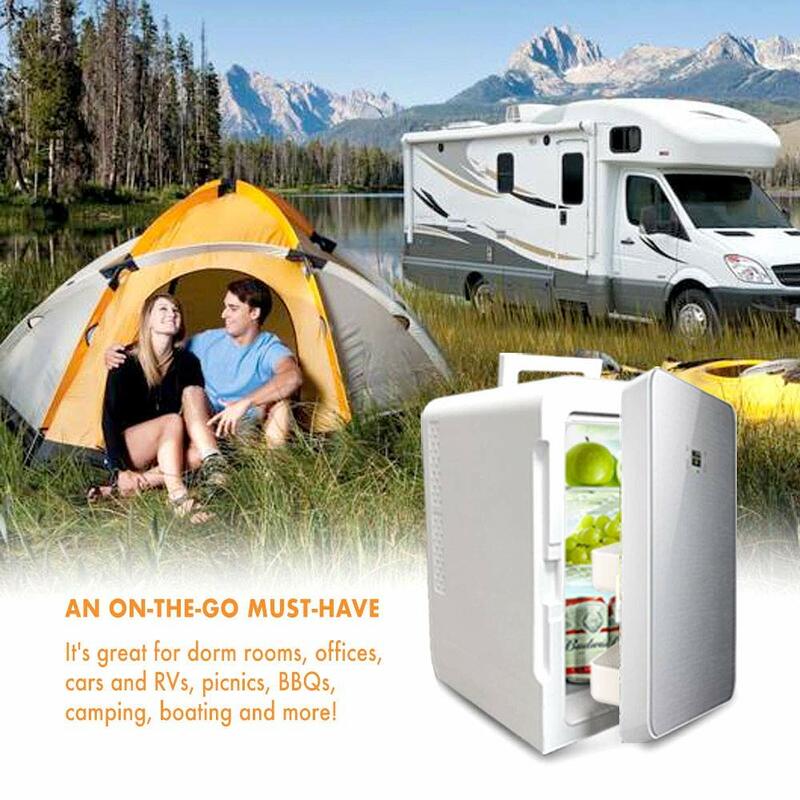 QUIET THERMOELECTRIC FAN - This eco-friendly mini fridge was engineered with thermoelectric technology. 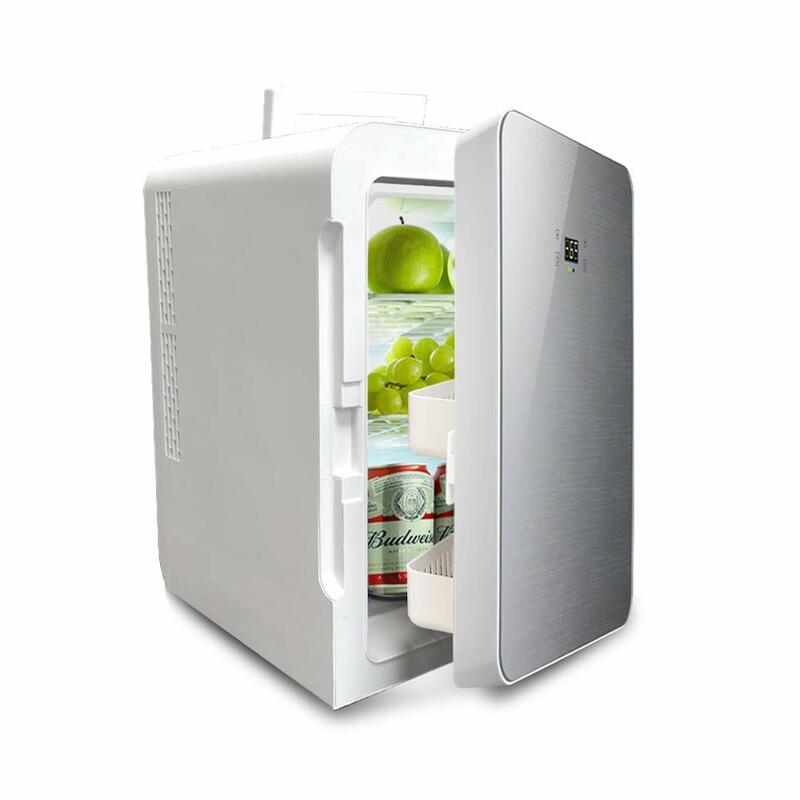 It uses advanced semiconductors that are free of CFC's and refrigerants. Non-compressor design also saves your money on electric bill ! 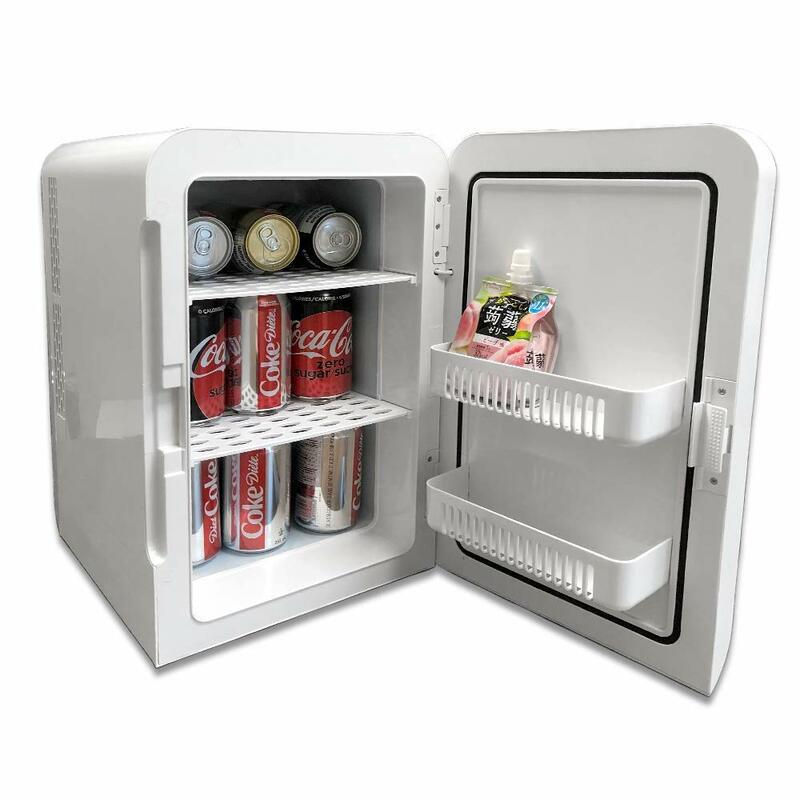 COMPACT CONVENIENCE - This lightweight 20L/0.7 CuFt mini fridge & warmer features a removable shelf, self-locking latch, and carry handle- all designed for easy portability. 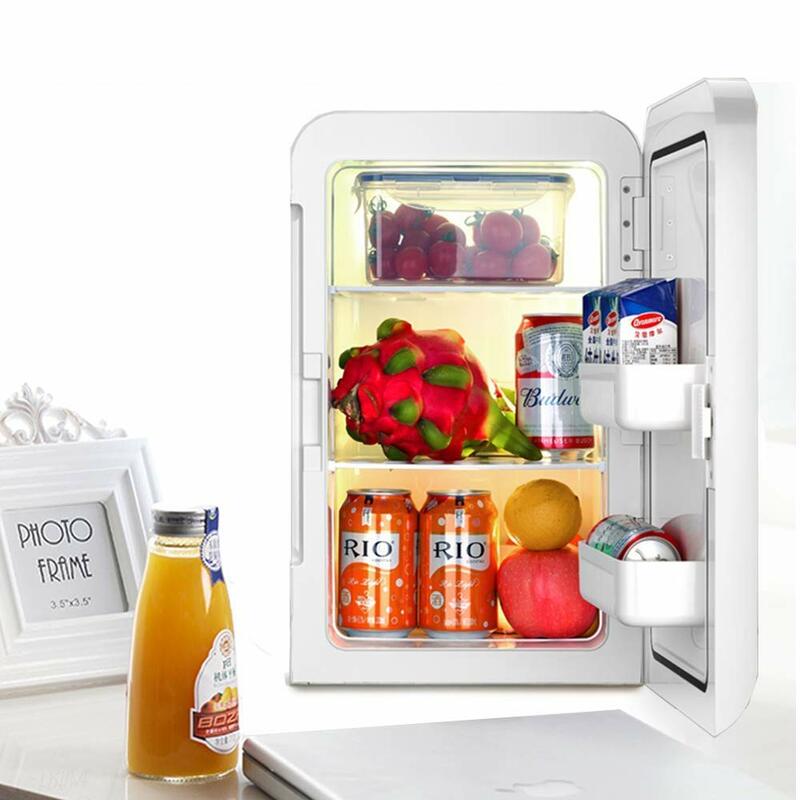 Fit it anywhere- or grab it and go! 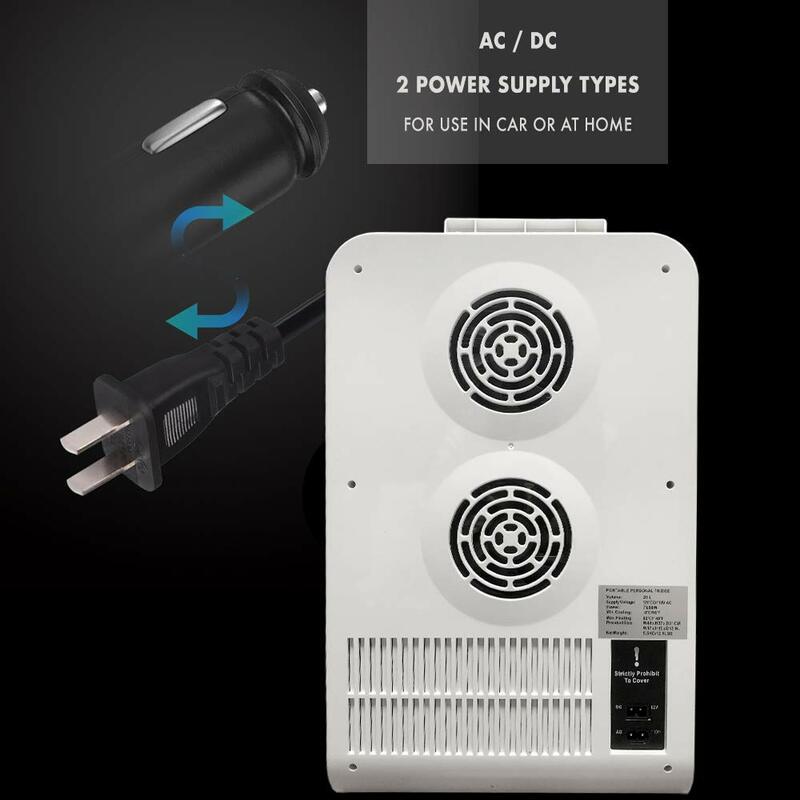 AC & DC INCLUDED - Included are 2 detachable power cords: One 110V AC for wall outlets / One 12V DC for car cigarette lighter socket. 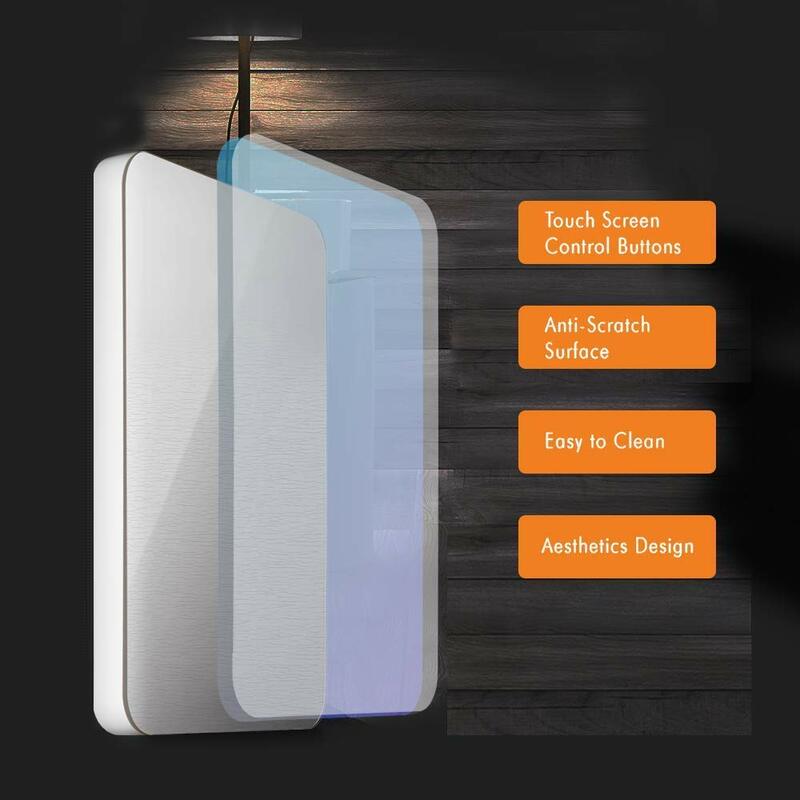 Use at home, office or Car, RV, Boat Etc.